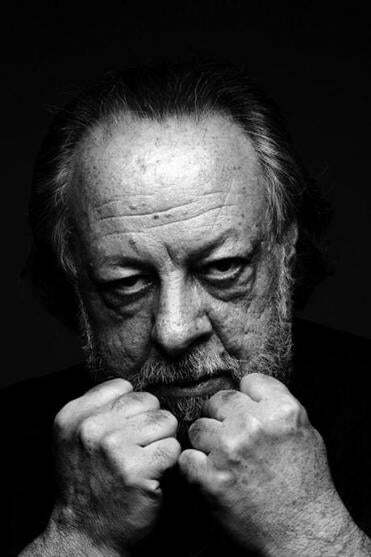 The first sights and sounds in “Deceptive Practice: The Mysteries and Mentors of Ricky Jay” are of a deck of cards being shuffled and fanned, and of a man in the shadows holding that deck, effortlessly finding and flicking out all four aces with one thumb. That would be Ricky Jay, who has been doing magic for 60 of his 64 years, first learning the trade from his amateur magician grandfather, Max Katz. Jay is regularly referred to in today’s magic circles as the best sleight of hand artist around. But he’d be the first to tell you that this film, which took 14 years to make and opens at the Kendall Square Cinema on Friday, isn’t really about him. The documentary’s co-directors, Molly Bernstein and Alan Edelstein, would be the second and third people to say the same thing. As the title suggests, it’s much more about the people who taught him the secrets of magic. If names such as Dai Vernon, Charlie Miller, Slydini, Cardini, and Al Flosso aren’t familiar, they will be by film’s end. Bernstein got the idea to make the documentary after seeing Jay’s one-man show, “Ricky Jay and His 52 Assistants” in 1994, then reading Mark Singer’s 1993 New Yorker profile on him. 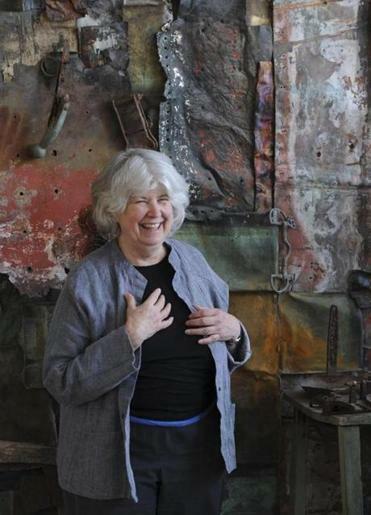 She invited her friend, Northampton native Edelstein, to join the project, as he was fascinated with the history of magic and by Jay as a character. Though Jay has had plenty of acting experience, and shows off some fine chops in “Boogie Nights” and in his friend David Mamet's “House of Games” and “The Spanish Prisoner,” having just gone through a contentious experience with a BBC crew doing a documentary on him, he wasn’t initially interested in taking part. Bernstein and Edelstein also spoke by phone from LA. “There was a long, unspoken testing period of our intentions and our dedication,” said Edelstein of finally gaining Jay’s trust. The story was going to be about two men who actually taught him the ropes: Dai Vernon, who was a pal of Jay’s grandfather, and Charlie Miller, along with the other previously mentioned masters of the craft. Jay agreed. The filmmakers’ approach appealed to him, and he believed it would be of equal interest to a viewing audience. Besides abundant footage of Jay’s heroes in action — a particularly funny bit involves Al Flosso cracking up the usually stone-faced Ed Sullivan — and Jay providing plenty of anecdotes about them, there’s also a generous amount of Jay, doing his one-man show, calmly shuffling cards in front of mirrors, performing at the age of 7 (as Ricky Potash, his real name), and at 14 (as Tricky Ricky). Jay’s appreciation for the absurd is actually well documented. He collaborated with Boston photographer Rosamond Purcell on the 2003 book “Dice: Deception, Fate & Rotten Luck,” which featured her photos of his collection of decaying dice. (That’s right, decaying dice — made of celluloid, which is known for decomposing but not for being a collector’s item.) Purcell has stayed friendly with Jay and is glimpsed briefly in his new film. Though Jay doesn’t talk a lot about himself in “Deceptive Practice,” and is known to enjoy his privacy, he seemed relaxed enough during our conversation for a few personal questions. Was he initially attracted to magic because he just wanted to be able to do these tricks or because he wanted to make people’s jaws drop? Was there a specific point when he decided to do magic as a career? Has he had any other interests, or was it just magic 24/7? He’s always loved fooling people with his tricks, but does he enjoy it when other magicians manage to fool him?